CS is a development of the popular Grouzer track. Traction is maximised through the addition of wide paddle spikes to the track pad and long shovel spikes to the edges. 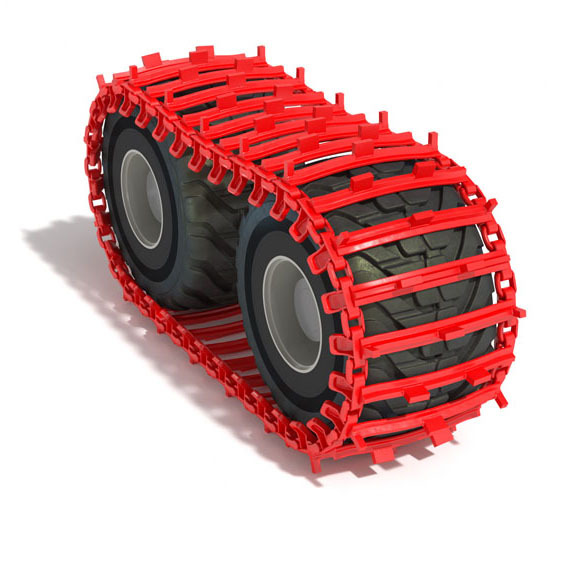 These track can take Harvesters and medium Forwarders further and more safely than before on demanding slopes. The pinnacle of climbing tracks.